A certified nursing assistant or a certified nursing aide must meet state standards in order to continue helping others in a professional capacity. To make sure that each CNA is qualified, states require the nurses to renew their certificates on a regular basis. Each state has different CNA renewal standards and requirements, and it is up to the nurses to be knowledgeable about what they must do in order to continue working. Each state has its own set of nursing regulations, but all of these must adhere to federal codes and laws. Nurses must follow these in order to qualify to renew their CNA licenses in 2015, but they will renew through the state rather than through federal channels. This is because each state must maintain a registry of nurse aides so that employers, patients and healthcare facilities can easily find information about the nurses who work for them. In order for the application process to go smoothly, CNA applicants must have their correct names, social security numbers and mailing addresses on file with the registry of nurses for their state. 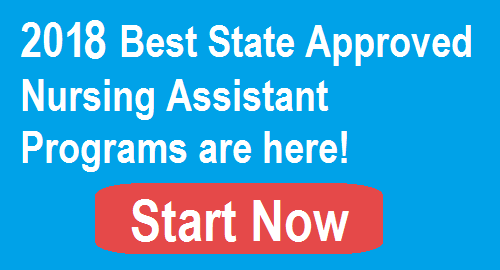 States require CNAs to complete in-service training or continuing education units in order to apply for renewal. The hours and scope of training required will vary from state to state, but all training must be approved by the state in order to comply with federal regulations. Nurses must be able to provide documentation for their hours of continuing education units. These courses must be approved by the state, and participants will receive documentation once their classes have been completed. While most states do not require proof of these units during the renewal process, nurses are encouraged to keep the information on file for several years. In some cases, CNAs may not meet renewal requirements, and they will need to reactivate their CNA certificates. The process varies from state to state, but most states allow nurses to reactivate their certificates during the renewal process. The applicants may need to pass an evaluation, a background check and written test in order to update the status of their licenses. Some states require CNAs who are applying for renewal to complete a background check and submit their fingerprints. They may also be required to pass a drug test. Any nurses who have been convicted of a disqualifying penal code will denied a new certificate. Applicants are encouraged to review the list of penal codes carefully so that they do not waste their time or money applying to renew licenses when they will not be approved. Nurses must pay a fee when they submit their applications for renewal, and these fees vary from state to state. The fee will be paid every two years when the application for renewal is submitted. Nurses may pay a higher fee if they submit their renewal application after the state’s deadline. Some states will send out a renewal notice prior to the certificate’s expiration date. If the nurse’s contact information or name has changed, then the renewal process may be delayed. Other states require CNAs to request an application form from the Board of Nursing or online. Many states offer pdf application forms online so that nurses can print out the papers they need in order to apply for renewal. Many states allow CNAs to apply for renewal online through the state’s Department of Public Health website. Applicants will need a username and password in order to apply online, and these are often included in the original physical license. If a username and password are not available, nurses can follow the online procedures to get the correct information that will allow them to complete the application process. Certified Nursing Assistants in California must complete 48 hours of continuing education units or in-service in order to apply for renewal. Nurses must complete a minimum of 12 hours each year, and only 24 hours of CDPH-approved online computer training will qualify. CNAs must also work for one day under the supervision of a licensed healthcare professional while performing nursing duties. CNAs in California can also get credit for participating in a licensed vocational nurse program, a registered nurse program or a licensed psychiatric technician program. The credits for these courses are listed in units, and these units are then converted to hours. Nurses in these programs must supply their school transcripts as documentation of their enrollment. Active CNAs in Florida must complete 24 hours of in-service training or continuing education units to qualify for renewal. In order to remain on the state’s nurse aide registry, each nurse will need to receive monetary compensation for services performed during the last 24 consecutive months. If they do not meet these requirements or if they have been inactive, then CNAs will need to reapply for a current license. While there are strict federal regulations that Certified Nursing Assistants or Certified Nursing Aides must meet, there are also state and local CNA renewal requirements. Since these standards vary from state to state, nurses should refer to their particular state’s Department of Public Health or Board of Nursing to make sure that they are fulfilling all of the requirements necessary to continue working as a CNA.